Increasingly a popular method to raise quick short-term finance and can be used to purchase a property or for other business purposes. Generally bridging is used for auction purchases, equity release, payment of HMRC bills, and property refurbishment & development, amongst others. One of the benefits of bridging is the interest and fees can be “rolled up” or added to the loan, provided you have a realistic and viable means of repaying the loan within the term. We always say bridging is for a certain type of client. The debt has to be secured against a property and bridging lenders will still work on sensible, affordable and secure propositions. Many people feel it is an expensive form of lending but with all things it comes with great benefits. We have worked on cases where funding has been released within days [for the right deal of course!]. When comparing Bridging Finance options, do not focus purely on the fees or interest rates. Sometimes you will find a more expensive option in rates comes with the highest flexibility and fits your project much better than a “vanilla” bridging product. As a broker, we add a very significant value to the whole process by making sure you are applying to the right lender, under the right circumstances, and at the right time. 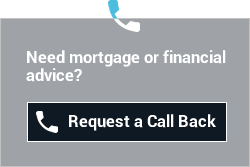 Should you have any further questions, we’d be delighted to talk you through the most appropriate option(s) for you.